As time goes by things change and what used to bring you joy may bring out sadness or hurt. Although these feelings are important to acknowledge, letting them get the best of you for too long can really take its toll on you and those around you. The holidays bring up a lot of things for many people including sadness when loved ones have passed, money stress, and overwhelm. There are things you can do that are natural, safe and can turn the sadness into joy, peace and acceptance. Trust me, this is my own experience. The number one thing on my list for rebooting my mood and health is getting my weekly chiropractic adjustment in. It helps me handle emotional, physical and biochemical stress and my body and mind thank me in so many ways. I feel calmer, more connected to my environment and I know my cellular energy is being powered by better life force and nerve flow to all my organs, glands, muscles, joints and blood vessels. The number two thing I do to get myself out of a rut is exercise that brings up my heart rate and makes me sweat. This raises endorphin levels which are our happy hormones. It also helps relax my body and mind and burns calories. Any exercise class, outdoor hike or walk, or a good gym session for 45 minutes minimum can be an amazing for a pick me up. Starting the day with exercise gets you out of the house and allows for an opportunity to provide self care that is vital for us in every way. Number three, even before exercise, take time to do a spiritual practice when you wake up. Whether it be reading a passage in your favorite book, writing in your gratitude journal, or offering a kind word to a family or friend. Number four, getting a daily dose of sunlight, Omega 3, Vitamin D, Magnesium, a great multivitamin like Catalyn or Do Terra supplement and essential oils, CBD oil, or any combination these are sure to bring a smile to your face and health to your body. Number five, enjoy a good laugh with family, friends, or coworkers, share a smile or a hug, and brighten the darkest holidays and get you on the road to a happier you. Number six, make sure to constantly check in with yourself. Sometimes when I am stressed, I notice that I am not breathing deeply, and it makes me more anxious. Deep belly breathing resets your parasympathetic nervous system and gets you out of fight or flight instantly. Using essential oils helps you breathe deeply and many like Frankincense, Lavender, and Cedarwood help ground the body and mind and force us to take a moment to breathe and center ourselves. Number seven, take a break from social media, and your phone if you find it is causing you depression and anxiety. Taking a phone and device break can be freeing and very healing to the mind and body. I think we all get too locked into our devices and lose track of the present moment and the people we love. For more support or any questions, feel free to contact us. We are here to support you and your better health in anyway we can. We offer free self care workshops monthly, on the last Tuesday of every month at 7:00 pm. (except for December). Full Life Chiropractic also has a large variety of holistic supplements such as Magnesium, Do Terra essential oils, Standard Process and Mediherb Supplements, Omega 3 Fish Oils, and high quality natural CBD oils and ointments plus much more. Like us on Instagram and FB for weekly inspiring health reminders and posts. There is a link on the bottom of this email to our facebook, Instagram and website. Reasons why people think chiropractic isn’t for them. 1. I don’t have back pain/neck pain. 3. I had back/neck surgery so I can’t get chiropractic. 4. I was in a car accident but I was fine even though my car was damaged. 5. I am on medications that manage my pain so I am fine. 6. I get physical therapy and do exercise so I need to get chiropractic. 7. I am very lucky, I never needed a chiropractor. 8. I’m scared it’s going to hurt. 9. My doctor told me it is dangerous. 10. Children are too young for chiropractic care. 1.Chiropractic care has changed my life, since I started going I hardly get sick. 2. My kids used to be on antibiotics constantly and since getting chiropractic care, have been healthier, happier and haven’t had to miss school due to illness. 3. My allergies are non-existent since I get chiropractic care regularly. 4. I noticed that I am so much more relaxed and focused since getting chiropractic care. 5. I don’t have to take sleep medications, and anxiety meds since getting chiropractic care. 6. I am able to handle work stress so much better now that I get chiropractic adjustments. 7. I am a better mom now that I get adjusted. 8. I have more energy and am more relaxed with chiropractic. 9. My pregnancy and birth of my baby was much better this time while under chiropractic. 10. My baby used to get ear infections and hasn’t had any since chiropractic. The truth is, you don’t have to be sick to get chiropractic. If you have a spine and a nervous system, you can benefit by improving its function. In fact, chiropractors are nerve specialist not back doctors. Pain is usually the last thing that people feel when there is a problem. Most people think that a cavity is formed right before you get tooth pain but in fact, it took months or more to form once a cavity is present. People who have heart attacks are often under the impression that it happened overnight, however, it took years for the heart and blood vessels to get diseased before the massive heart attack or stroke occurred. Just like with a heart attack, it takes time for “dis-ease” to build up in the body and by the time you feel pain, that problem has significantly advanced and now there is a lot more of a problem to correct, not just pain to get rid of. Since the nervous system is the master system of the body, controlling and coordinating all of its functions, having a healthy nervous system is vital for a healthy functioning body. In fact, you can’t be fully healthy if your spine and nervous system are not. Nothing, including yoga, physical therapy, exercise, and medication, remove nerve stress and allow the brain and body to be fully connected like chiropractic. Since the nervous system controls and coordinates everything, from your heart to your reproductive system, your body works better when your nerves are flowing fully, including your emotions and your immune system. The spine is subjected to many stresses on a regular basis from birth to death. Stress can be physical, biochemical or emotional, and all three have a profound effect on how your body functions and how your brain connects to your body systems. When that connection is clear and unobstructed, like a good internet connection, everything works better. When there is interference from the brain and spinal cord to the body, things start to go wrong and the last thing you notice is pain. This explains why pain is not the determining factor of a health problem. Imagine how amazing your body could function if you made sure that your nervous system is healthy. This is very possible and that’s why most of my patients are on wellness care. They get checked regularly and get their spine adjusted to prevent buildup of spinal and nerve stress. The term we use for Nerve stress is Subluxation, and that’s what chiropractors treat. Our goal is for all our practice members to be on wellness care so that we can detect and correct subluxations quickly, gently and effectively and keep their body and brain in tip top shape. Did you know that chiropractic patients who receive wellness care consistently save a huge amount of money on their healthcare. It is evident why my patients consider chiropractic an investment in their health. In fact, research and studies show that patients under wellness chiropractic care take 85 % less medication than the average person, go to their medical doctors 60% less, and go to the hospital 63% less than those that don’t receive chiropractic for wellness. You can never be too old, too young, or too sick to enjoy a happier and healthier life and body. As long as you have more nerve flow going from your brain to your body, you can have more health. Chiropractic care adds years to your life and life to your years. It is safe, gentle and effective, and just like gravity, it works whether you believe it or not. For more info and research studies on the effectiveness of chiropractic, please check out our website at FullLIfeChiropractic.com. Join our newsletter by emailing us at FullLifeChiropractic@gmail.com and we will add you to our list. You are invited to our Spinal Health and Self Care Workshop which offer monthly by calling our office at (201)385-7800 or emailing us. Like us on facebook and follow us on Instagram and Pinterest. If you have more questions about how chiropractic can help you or your family members, Dr. Victoria Dubin Master offers complementary phone consults for new and perspective patients. Our vision is for everyone to live an empowered and healthy life. Back to school has the same implications for those with and without children. It is a time to start fresh and recommit to our goals or desires which may have fallen by the waist side during the lazy, hazy days of summer. This is a perfect time to examine where you are, what you want, and how you want to end the year right. It has similar implications as New Year’s but this is the last chance to give it your best shot before the year ends. What is more main priority this fall? Is it your health? Have you given up on it, feeling like it’s too far gone? Maybe it’s your child’s health…have you tried and failed, therefore don’t believe it’s worth trying anymore? Are you on multiple medicines, feeling fatigued from lack of exercise and lack of sleep? Maybe you have succumbed to the fact that you are not able to lose weight and don’t have the energy for yet another fad diet. I have great news; this is not a dead end for you. When it comes to upping your game with your health, here are 3 tips to incorporate into your routine to make a world of difference, and they are easy and effective for everyone and anyone. 1) Detox and revamp your eating habits and pantry. Go through your cabinet and get rid of food that has sugar, gluten and dairy. These are the 3 culprits that create the most inflammation in the body and clog up your organs of detoxification. Instead of doing a drastic detox program, you can eliminate these foods and gently get rid of these toxins. Buy and eat local, and organic fruits and vegetables. Eating fruits and veggies with pesticides basically cancels out the good in them. Also, eat a variety of colors in your vegetables and fruits veggies as more color equals more vitamins and minerals. 2) Start your day with a huge glass of water as soon as you wake up to flush out your gut from the previous day. Drinking water throughout the day is essential for the body’s detox process. We need to drink half our body weight in ounces of water. For coffee drinkers (most of us) caffeine is a diuretic, so for every cup of caffeine twice the amount of water is needed to rehydrate INCLUDING those average of 7-9 glasses. 3) Last but certainly not least, invest in consistent and quality chiropractic care. Chiropractic care is good for you, and by keeping your nervous system healthy, you activate your body’s power to heal itself naturally the way it is meant to. Stress builds up in your body from toxins, injuries, and emotional overload. Getting chiropractic care regularly, keeps you functioning at your top potential. If you have been neglecting your nervous system, renew yourself with chiropractic and notice how your immunity, energy, and ability to handle life stress improves. Now is the time to improve your health and your life. Align your life back to balance by reducing nerve stress and practice preventative wellness. Call us today for a free consult (201) 385-7800 to see if chiropractic is for you, you’re only an adjustment away from a better life. Is CBD for You and Me? Cannabidiol (CBD) is the non-intoxicating element of the cannabis seed which evokes remarkable healing properties in the body and mind. Researchers are employing CBD-rich products to support the body to heal conditions including chronic pain, tumors, Crohn's, diabetes, arthritis, PTSD, coronary disease, anxiety, antibiotic-resistant microbe infections, multiple sclerosis, schizophrenia, Alzheimer’s, diabetes, and much more. Academic research centers in America and elsewhere are studying the effects of CBD on these and other health problems. Cannabidiol is obtained from cannabis plants and can be used as an oil. CBD oil is extremely rich in natural chemicals called cannabinoids that bind to peculiar receptors in the brain, gut, and throughout the body. The most common cannabinoid is tetrahydrocannabinol (THC) makes people feel “high” after using marijuana. THC, however, is just one of the several cannabinoids available. Cannabidiol, or CBD, also forms a bond to these receptors but doesn't make one high, yet still has many therapeutic benefits without documented side effects. Advocates and their research on cannabidiol confirm that there are several benefits of cannabidiol oil which ranges from slowing down the growth of cancer cells, removing plaque in the brain, decreasing inflammation, to improving mental health, particularly anxiety and sleep. They have also found that adding a very small amount of THC to the Cannabidiol activates it to work more effectively in the body but doesn’t have enough THC to create any intoxicating effect. This combination therefore increases its therapeutic benefits and can be used with children, elderly and pretty much anyone who is looking for natural healing with no negative effects. A study also found that cannabidiol could reduce symptoms of social anxiety disorder (SAD). Brain scans of participants revealed changes in blood flow to the regions of the brain linked to feelings of anxiety. This study shows that cannabidiol improved participants emotional state and altered the way their minds responded to anxiety. Consequently, the report warns that there is little data available on the long-term use of CBD oil. There is, however, much research strongly suggesting the role of cannabidiol in treating anxiety, epilepsy, depression, sleep disorders, pain and inflammation, Alzheimer’s and other brain disorders, and the list goes on and on. Cannabis has been stigmatized for many years, but experts and most people can attest to the plant's substances, known as Cannabinoids, which naturally support the body’s healing ability to cure many health issues, as previously stated. That said, CBD is relatively easy to find on the internet and in many stores and pharmacies throughout the country, as it is legal and doesn't need a prescription. The main concern is getting the right brand that has the most natural ingredients, highest potency, and sourced in the proper way for the best price. I have done my research and have found what I consider the best CBD products and my personal experience with these products as well as my patients testimonials, attest to my findings. The products I carry are topical ointments, body butters, patches, and sublingual drops in different strengths for humans and pets. Please feel free to contact us with any questions as we would be happy to help you in any way we can to improve your health naturally. What you believe and what you actually DO with your beliefs are two different things. Whitney Houston BELIEVED that the children are the future, but her lifestyle contradicted her beliefs and so, she couldn’t TEACH by example. If you know the end of this story, you will see that the results of not teaching your children by example does not work no matter how you slice it. Do you believe that children are the future? I do. In fact, our children are the only future and hope there is in this world. What are you teaching your children about health? Are you letting society take over that role? If you are, then the health of our children will likely be even more dim than health of our country right now. America spends more on healthcare than any country in the world: over 3 trillion per year. With no avail, America also has the world’s sickest population with over 28% having multiple chronic conditions at once. Drug deaths, Teen suicide, and Maternal mortality rates in USA are increasing yearly according to Fox News 11/16/2016. The number of children ages 0-17 taking psychotropic prescription drugs is 3,259,955 according to America’s Health Rankings 2018, with that number increasing yearly. Is this the kind of world you want for your children? You may feel hopeless, but I feel more driven to share with you my wish for our children, the future of our country, and the world. I believe we need to take our health into our own hands, and we must start by living a Wellness Lifestyle. 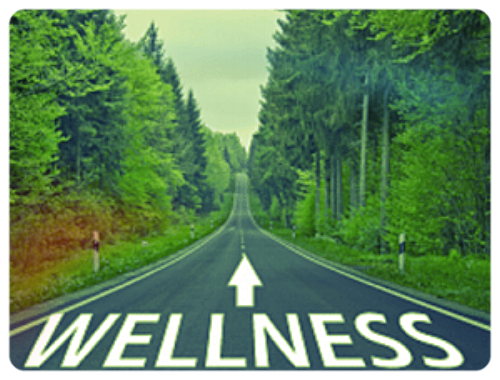 What is a wellness lifestyle? It is a life that empowers us to live in gratitude, awareness, and self-responsibility. It is being proactive about our health by learning what is making us sick and taking an active role in our health by changing our habits and activities. There are four essential approaches to becoming and staying healthy. It starts with eating food that is unprocessed and comes directly from the earth without any chemicals or modifications (GMOs); this means at least 50% being raw organic or locally grown vegetables and fruits. The second approach is being active, exercising at least 4 days per week. This means activity as low impact as walking to start and then building up to more movement, stretching, and sweating to get toxins out and heart rates up. The third approach is on a more emotional and mental level, focusing on the good in our lives by writing in a gratitude journal daily and being with people that lift and love you. The final approach is maintaining a healthy spine and nervous system. Did you know that your nervous system is the master system of our body, controlling and coordinating all your cells, organs, glands, blood vessels, muscles, and allows us to adapt to our environment? True health means having a healthy brain and nervous system, so we can function fully mentally, emotionally and physically. Chiropractic is based on supporting the body by restoring proper nerve function when there is stress on the spinal nerves causing subluxations. Chiropractic simply allows the body to work and heal better naturally. Chiropractic adjustments relieve stress in the spine and nervous system and is gentle enough for newborns to elderly folks. Teach your children by example. Begin by eating healthy and wholesome foods, stay active to detox, practice gratitude, and get adjusted! Include these approaches into your life to create a wellness lifestyle of your own. If you need a jump start or just a helping hand in starting this wellness journey, contact us at Full Life Chiropractic (201-385-7800) and mention this article to receive a free phone consultation on how you can incorporate wellness in your life. Be the change you want to see in your world and inspire the people around you. Lead the way and create a better future for yourself and in turn, create a better future for your children and loved ones. Are you pregnant or thinking about it? Are you looking for a supportive natural care that trusts your body during pregnancy and childbirth? Do you want to have a birth that is comfortable, safe and free of unnecessary medical intervention? Chiropractic may be the answer. As a mother of three and a chiropractor for 30 years, I have taken care of many women throughout their pregnancies and it happens to be the most wonderful time for a woman to receive chiropractic. 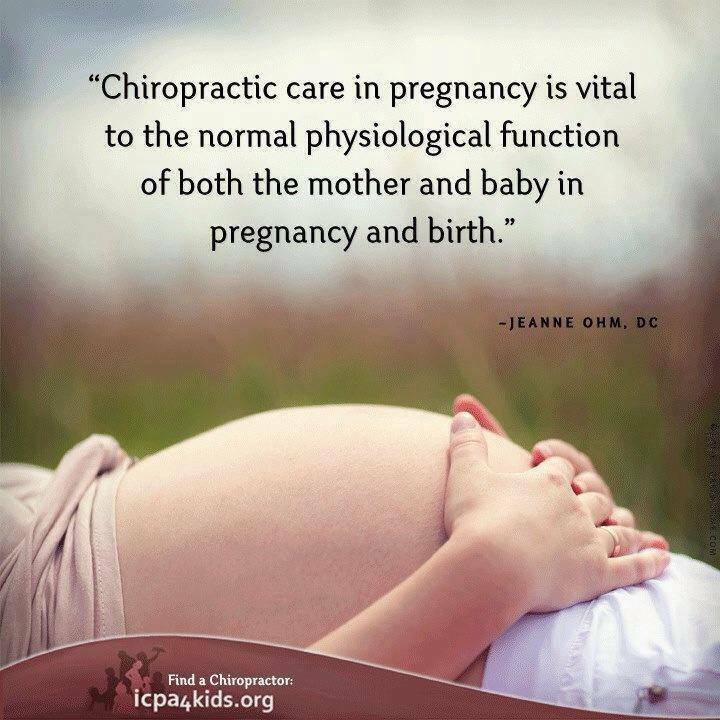 I can’t imagine having gone through my pregnancies without Chiropractic care. I loved being pregnant and I worked until the end of my term with each one of my pregnancies. My births were completely natural, and my babies came out healthy and happy. In addition to chiropractic helping you through pregnancy, post-partum can be a very difficult time for many new mothers between the rapid changes in hormonal shifts, body weight, and new demands from the baby due to breast feeding and sleep deprivation. Post-partum depression is a very real condition. Since Chiropractic deals directly with balancing the brain and the emotions, we find that new moms adapt much more easily physically as well as emotionally when their spine and nerves are stress free when receiving Chiropractic adjustments. Finally, the baby, having had their first entry into the world from the mother’s womb to the harsh environment of a hospital, can be a traumatic event. If the birth was long, difficult or with medical intervention, it can leave a newborn with some spinal and nerve stress. Some babies are born with torticollis, or less that perfect Agpar scores. Even if the birth was natural and stress free, getting a newborn baby checked by a competent Chiropractor is always a great idea. Chiropractic for newborns is extremely gentle but can have profound effects on the function and structure of their nervous system which can help their body develop and thrive. Chiropractic care in pregnancy is an essential ingredient to your prenatal care choices. You may have pre-existing imbalances in your spine and pelvis that may become more pronounced during pregnancy and make it difficult to perform routine and daily activities. The Webster technique is a gentle chiropractic technique that is world renown and works beautifully to help remove stress in the pelvis, so the baby can grow without any restrictions due to the mother’s spinal balance. If there is imbalance due to nerve stress, pelvic ligaments can be torqued or twisted which can create an uneven pull on the uterus. This uterine tension may restrict the baby’s movement and possibly hamper optimal positioning as well as development. An example of this can be a baby born with torticollis, misshapen head, or a breech baby. When looking for a Chiropractor to assist you through your pregnancy, make sure they are Webster Certified. I am happy to be Webster certified and have done this certification several times to ensure my expertise with this important job of supporting pregnant women through this beautiful journey from pregnancy to motherhood. Don’t hesitate to call us at (201) 385-7800 or visit our website (FullLifeChiropractic.com) if you’re pregnant or thinking of welcoming motherhood into your life. We’d be proud to support you through your pregnancy here at Full Life Chiropractic! Most people associate chiropractic care with reducing the aches and pains of daily life. This pain may be caused by frequent exercise, sitting at a desk all day, a past car accident or some other physical injury producing event. But, what if I told you that the main cause of your daily pain isn’t physical but mental? According the the Anxiety and Depression Association of America, major depression at any point in time impacts roughly 5 percent of all people and there is about a 17% lifetime risk of a person developing this condition. Additionally, roughly half of all those diagnosed with depression also suffer from anxiety. While medications are most often prescribed for anxiety and depression, many prefer to take the route of holistic healing. When it comes to my patients, I have worked with many suffering from mental health issues and the results speak for themselves. How can chiropractic care most associated with physical pain help Emotional Healing? Here are some interesting facts regarding how chiropractic care can help with mental health as well: The Journal of Upper Cervical Chiropractic Research conducted a study that was designed to test the correlation between chiropractic care and its impact on mental health. This study cited prior research that showed of the 2,818 patients undergoing chiropractic care, 76% reported an improvement in their mental/emotional health. Additionally, these 76% also reported positive changes in stress and increased life enjoyment in the months after receiving chiropractic care. These findings were published in the Journal of Upper Cervical Chiropractic Research on June 20, 2013. Similar findings have also been reported in the American Journal of Psychiatry. So, how can having a properly aligned spine impact your mental health? How can Chiropractic Care Improve Mental Health? One reason that chiropractic care can help mental health is that it can decrease physical pain that may be fogging the mind. As anyone with chronic pain can attest to, this discomfort can have a serious impact on mood and mental health. As the spine becomes aligned and pain decreases, anxiety and depression sprouting from pain are proven to lessen throughout treatment. This was further illustrated by a study of participants complaining of anxiety or depression who underwent 12 sessions of chiropractic care. As a result, muscle tension decreased, and mental clarity increased as well. When chronic pain is a part of your daily life, not only is it hard to focus but suddenly you are no longer feeling well enough to be social and take part in activities you once loved. Studies have proven that depression occurs at a rate of three to four times higher in those with chronic pain when compared to their healthier peers. The cycle of chronic pain and depression can continue unless it is broken. Regular chiropractic adjustments have proven to decrease pain, depression and anxiety and allow for a healthier (mentally and physically) existence. How Can Reducing Misalignments improve Nerve flow and Brain Function? Our moods are regulated by our body’s chemistry. This chemistry in your organs as well as your brain is all regulated by the nervous system. Misalignment of the spine (specifically the first, second or third vertebrae) can cause pressure around the brain stem which can cause interference neurologically and chemically. Often people turn to medications that are used to alter their brain chemistry. People looking for a non-medication solution often find that specific re-alignment of these (and other) vertebrae can do wonders for their brain health and emotional state. Want more information? Find out firsthand how chiropractic can help your mental state today. Contact us at (201) 385-7800 or FullLifeChiropractic@gmail.com Now conveniently located at two locations: Haworth, and Saddle River at The Body Image Boutique. Spring is here and so is allergy season: Are you ready to find a natural solution for you and your family? The poor quality of our air, strange weather patterns, and increased toxins in our food and environment are making people dread spring instead of being excited about it. The good news? There are natural solutions and they have always been available to you. It’s a matter of whether you are ready to find a better way or if you are resigned to taking your allergy medications and inhalers and having the same frustrating experience. As a chiropractor, one of the things that my patients tell me constantly is that they didn’t know that chiropractic could help with seasonal allergies, sinus conditions, asthma and immune issues. Once they start getting care they experience their body handling stress easily and effortlessly which is how the body is meant to work. 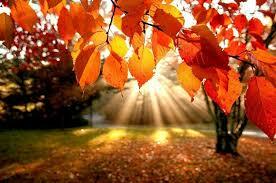 Most people can get off their medications and enjoy the outdoors fully and joyfully. You see, our bodies are designed to heal and thrive. When there is poor nerve flow to the organs, it blocks the function and results in dis-ease. Traditional Medicine has no solutions to seasonal allergies, asthma or upper respiratory issues except to prescribe over the counter allergy meds, broncho dilators, and prescription medications that have dangerous side effects over time. Research proves that chiropractic care helps many people with allergies and asthma. Go to http://www.fulllifechiropractic.com/seasonal-allergies-1 for more information on Chiropractic and seasonal allergy research. In addition, here are some testimonials of patients who have had great experience with their health and allergies after getting chiropractic care for themselves and their children. In addition to gentle chiropractic adjustments we offer essential oil education and nutritional products which support your body so it can handle the stress of allergy season easily and effortlessly. We are passionate about empowering people with tools to live a vibrant life independent of drugs and surgery and we want to help you. To encourage you to take the first step to a healthier life, we are offering $50.00 off your first visit. Call the office today (201-385-7800) and take the first step to a better tomorrow. Just mention this article, which is valid for the month of April. But, don’t hesitate, as BJ Palmer, the founding father of chiropractic, said “Procrastination is the Thief of Health.” You deserve it. I’d like to start by thanking all of you who are taking time out of your busy day to read this wellness column. And if you don’t already know, these articles help me as much as they help you. They remind me of the things I need to do to feel good naturally and how lucky I am to be able to help others. This brings me back to the focus of this article: Gratitude. What’s one major thing you wish others would show you? What brightens another person’s day which in turn makes your day better? What is the opposite of criticism and something you wish you did more for yourself? The answer is: Gratitude and Appreciation for yourself and others. Isn’t it interesting how one concept can do so much good for so many? I saw it first hand during the holiday season with some people that received gifts from me that were truly grateful. It made me feel so good to make another happy and for them to feel appreciated and thought of. So why just practice gratitude during the holidays? Why not do it to some degree every day? After all, the law of attractions says: whatever you give your energy to comes back to you multiplied. And when you focus on the things you’re thankful for, it brings more of that good stuff flowing your way. In addition, it puts you in a happy mood, which has a contagious effect on others. Bringing more joy and happiness to yourself and others? Now that is a great Spring Intention! Three Part Action Step: Starting with yourself. Every day say in front of a mirror or write down at least three things you are thankful for and repeat them to your self all day long. Tell at least one person a day something you appreciate about them. Look yourself in the mirror or write a note telling yourself something you appreciate about yourself. Have A Happy and Healthy Spring and join us at one of our awesome events this month! Chiropractic is the world’s largest drug-free profession, and the third largest primary health care profession in the world, and it is growing at lightning speed. Chiropractic is safe and effective for people of all ages and walks of life, from infants to elderly, athletes to office workers. Most people seek chiropractic care because of pain and continue care because of the increased quality of life and health they enjoy when their nervous system is working at its optimal potential. Chiropractic is a natural form of health care that uses gentle spinal adjustments to correct these misalignment's and restore proper function to the nervous system, helping your body to heal naturally. Chiropractors don’t use drugs or surgery. Rather, a chiropractic spinal adjustment; the application of a precise force to a specific part of the spinal segment, corrects the misalignment, permitting normal nerve transmission and assisting your body to recuperate on its own. The brain (and the spinal cord; the central nervous system) is the most important organ system of the body because is controls and coordinates every cell, organ, muscle, joint and tissue. If there is a blockage to the nerve from the spine, that part of body cannot heal properly, and will start to get sick, finally resulting in pain, which is how your body lets you know there is a problem. Since pain is only 10% of the nervous system function, people that receive chiropractic care get pain relief quite quickly and soon start to notice how their body functions at a much higher level. For example, many people who have asthma and allergies, notice that they no longer suffer like they used to. Other things that many people notice are how they can handle the stress and strains of daily life with more ease and joy as their nervous system is more balanced. Children with chronic ear infections, babies with Colic, and even kids with difficulty concentrating often experience healing and improved concentration because the nerves that were once blocked from the spine, are now free to flow and heal the body naturally and easily. Dr. Victoria Dubin Master uses The Koren Specific Technique as her primary technique to deliver chiropractic in the most gentle and effective way. This technique utilizes a hand-held instrument called an Arthostim to deliver an adjustment to the spine in a specific, gentle yet powerful way. There is no pushing, pulling, twisting, cracking, or popping involved in this technique and every adjustment is different depending on what that person needs at that time. Dr. Vickie finds that as her patients heal their nervous system through chiropractic, they enjoy a quality of life they never thought possible, without drugs, or surgery, by allowing the body to heal as naturally as it was created. Call today (201-385-7800) to set up your first appointment! We are offering a $50 discount, normally $150, if you mention this article. What is the first thing you think of when you have pain in your body? I’m willing to bet it is how to get rid of it. That definitely makes sense and, honestly, who can blame you? The thing about pain is that our body gives it to us as a warning that we need to stop and check on ourselves to see what may be going on. Compare pain to a lit up dash board warning light. If the light said “check engine,” would you put a big piece of tape over the light and keep driving, hoping the problem goes away? I think not. However, most people pop pain killers when they have aches or pains and hope it goes away. Although that might be convenient and may work once in a while, do you really think that’s what your body wants or needs? The truth is, most people treat their cars better than their own bodies. They bring it in for oil changes every couple of months, get tune ups regularly, get it washed and vacuumed weekly, and feed it the best gas they can afford. If they hear a strange sound, they bring the car in to get checked to see what is wrong with it. The sad thing is, our car doesn’t need to last at least 80 years… but our bodies do. In fact, people aren’t living into their nineties and hundreds and we need to address that. The first step is taking better care of our bodies than our cars. The way the body is made is absolutely perfect. Our nervous system sends messages from our brain to our body and back to our brain, to alert us if there is a problem. Just like the reflex when we touch a hot stove, our body automatically pulls our hand away. Pain like headaches, back, neck and stomach aches or even acid reflux, are signals our bodies give us to ask for help. Taking pain killers, antacids, and muscle relaxants end up not correcting the problem, but hiding it. Not only do these problems get worse, but the side effects of the medications are adding more damage than when we started. Did you know that Chiropractic is not just for back and neck pain? We are nervous system specialists. We look for the cause of your pain. Since the brain, spinal cord and nerves are the master systems of the body, if there is a blockage in nerve flow; the body can’t heal and will ultimately get sick. Next time you feel pain think about what your body is trying to tell you. Before you take that pain killer for the fourth time this week, do your body a favor and get it checked by someone who won’t give you a prescription for your pain, but will help you find the cause and help you correct it. Chiropractic is a great place to start to find the cause of your problem. To get started, give Full Life Chiropractic a call at (201)-385-7800 to set up your appointment today. We have two locations, Full Life Chiropractic in Haworth (153 Madison Ave, Haworth, NJ 07641) and The Body Image Boutique (96 E Allendale Road, Saddle River, NJ 07458.) See you soon! “Raising children isn’t easy” is an understatement. In addition, The Owners Manual to Children is a great idea, but who could write it? There are many views and beliefs about caring for our children’s health but the most common remedy and prevention in this country is: medication and vaccination. It isn’t what our forefathers or our great grandparents did, but it is what society tells us to do and that may not be in our children’s best interest. Drug companies dominate health care but is it really health care or sick care, and who is benefiting, the drug companies or our children? This may be the reason the number one cause of liver failure isn’t alcohol but Tylenol poisoning. 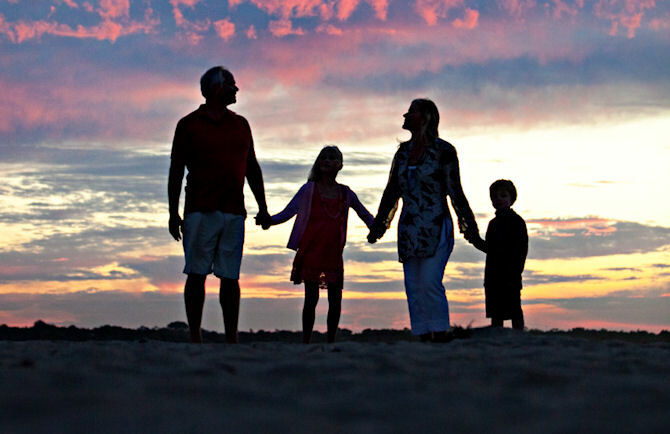 There are many healthy alternatives to traditional medical care for children and adults. Chiropractic is a great way to correct and maintain nervous system health in children from pregnancy and infancy, on to adulthood. Structurally it makes perfect sense to keep the spine aligned after a traumatic birth. As the child learns to walk and falls off bikes or playsets, returning the spine to its correct position is vital. Sports injuries need correction even if there is no pain, as these could lead to serious adult problems. Poor posture, heavy backpacks and scoliosis are obvious reasons for gentle chiropractic alignments, but there are other more unusual reasons for chiropractic for kids. Ear infections, asthma, allergies, colic, and bedwetting are often corrected by chiropractic care and there are no dangerous side effects. In addition to chiropractic care for holistic health, homeopathic remedies, herbs and essential oils are a great alternative to medications but knowledge on the subject is important. There are many good books and holistic health care professionals that can guide you in the best way to add natural healthcare to your present childrearing style. Remember that knowledge is power and you are your child’s health advocate. For more information on Raising Children Naturally check out our website at FullLifeChiropractic.com. You can email us at drvickiedubinmaster@gmail.com or call our office at (201)385-7800. As cold and flu season come crashing upon us it is important to know the many natural and holistic ways to prevent and treat cold weather ailments. I would like to start by saying that getting a flu shot isn’t guaranteeing you against getting the flu and might even make you sicker. The best defense against winter and seasonal bugs is building your immune system naturally. The stuff your mother told you back in the day is very true: dress in layers and wear a scarf. Many people don’t know what the weather will be like and letting your body get chilled lowers your resistance, especially at the neck and chest. Keeping a scarf handy prevents a stiff neck and protects your nose and mouth from wind, ragweed and people sneezing in your face. Eat your fruits and vegetables and take vitamins especially C and antioxidants. These nutrients are like building an army in your body that is ready to fight against the intruding germ invaders. Be sure to get plenty of exercise to build up your lungs and heart and strengthen your body protecting you from the elements and the sick people around you. Another way to fight the flu and colds are to get 8 hours of sleep and do deep breathing to relax you. Sleep restores and rejuvenates your cells and deep breathing strengthens your lungs and oxygenates your cells. If it’s too late and you get sick anyway, take extra Vitamin C, Echinacea and Goldenseal root and zinc. I love On Guard oil made by Do Terra, it’s a blend that includes clove and many other oils and it acts as an antibacterial and antiviral. You can rub it on your hands, feet, diffuse it in the air and even put it in your mouth, feet, bath, or tea. Peppermint oil on your feet will lower a fever, and on the back of your neck or temples will relieve a headache. Did you know that people that get Chiropractic care for wellness have 200% stronger immunity than those that don’t get adjusted at all, and 400% stronger immune system than those with immune system dysfunction like cancer or autoimmune diseases? Research studies show that people that get chiropractic care take 85% less medication, have 62% hospitalization, and 60% less office visits. My patients notice that they rarely get colds, sinus congestion, and allergy type symptoms when they are getting adjusted regularly. Most people think Chiropractic is for back pain, but it is for overall improved brain and nerve function which helps the whole body work better, including your immune system. If you find this hard to believe, find out for yourself by calling our office and let us know you read this article and want to get a nervous system evaluation. We look forward to helping you have a great winter so you can be your healthiest self all year long. Check us out at FullLifeChiropractic.com, our facebook page at Full Life Chiropractic, or call our office at (201) 385-7800 today. We look forward to hearing from you. I am excited to be starting a weekly column aimed at the community I have spent most of my life in. It’s my way of giving back. As a practicing chiropractor for 21 years in Bergen County, and a resident with a practice in Haworth for the past 12, I have been advocating health for all of my adult life. I know and see first hand how hard it is to be healthy in an environment that advocates medication for every ailment and fast food restaurants on every corner. Even the supermarket aisles are full of food with ingredients you can’t even pronounce. That’s why I created this column: to give you a hand on living a healthier life one week at a time. Since knowledge is power, let’s start getting more powerful immediately. Making health a priority means starting with a small but meaningful change. Exercise is essential for a healthy life. If you are not already exercising at all, and always seem to use one excuse or another, start small. Just 15 minutes per day can improve your heart health, attitude and metabolism. Keep an exercise diary and commit to at least 5 days a week for 15 minutes. A walk early in the morning or later in the evening (now that it is so hot during the day) is a great way to get your body moving. If you can enlist a friend, family member or dog (you may have to borrow a neighbors), that is a great way to be more accountable and more successful. I like taking my dogs for a walk because I am helping them exercise and they don’t talk back. I enjoy the quiet time which is my mental down time during the day. If walking isn’t your thing, the latest exercise videos are available with 15 minute segments of yoga, pilates, and zumba. Then there is always swimming, bowling or bike riding. It doesn’t matter what you do, just do something and start slow. As your body gets stronger you will want to build up 5 minutes at a time. You may have a goal to lose weight, firm up, or just improve you energy or mood. Write down your goal in your exercise journal and log the date, amount of time and what type of exercse you do. You can also put your starting weight and clothing size. It will be exciting to see your numbers change if you check yourself monthly. The many benefits of exercise will give you self satisfaction will surely make you a happier and more fulfilled person. If you’re the type of person who needs more encouragement and can’t seem to do it alone, a coach might be what you need. Our office is a Creating Wellness Center which offers coaching for improving lifestyles in all three components: physical, biochemical, and emotional. It doesn’t matter how you get started on your exercise program, just get started. If you feel discomfort or shortness of breath, you may need to change the type of exercise or start more slowly. It is a good idea to check with your family doctor if you are concerned about the type of exercise you are doing or to get checked out before beginning an exercise program. Start today and tomorrow will be better in many ways. As a final note, make sure you drink more water to flush the toxins out and replenish the fluids lost during exercise. As the Holidays are upon us and the year comes to a close, sometimes it feels like it’s just too much to handle. Whether you have family visiting, you are preparing to leave town, deadlines, parties, shopping, or all of the above; the holidays can be a recipe for exhaustion. The good news is, there are lots of simple things you can do to relax, restore, and renew yourself this holiday season. Chi Gung is an ancient Chinese art form of simple exercises that increase “Chi” or flow of energy from within, using gentle body movements and deep breathing. By doing a few Chi Gung exercises you can relax and energize your body and mind quickly and easily. Another simple way to rebuild gently is Restorative Yoga. This is a type of yoga that props up the body with pillows and blankets to form a yoga-type posture. Restorative Yoga has the effects of a yoga posture without the effort, just the benefits and a rest for the body. Specific breathing techniques can calm the body and mind and increase energy by bringing fresh oxygen to the organs, and the brain. This takes 5 minutes but has profound effects on the body. There are also essential oils that can be inhaled as you do these techniques accomplishing specific healing effects. Eucalyptus can open sinuses and lung airways as well as improve health. In addition, orange oil increases brain function and is uplifting and an antidepressant. The sun and summer go hand in hand. We all look forward to shedding our winter coats and lightening up, but there are some things we can do besides using Coppertone sunscreen to keep us safe on the outside and inside. The time of the day we soak up rays, the clothes we where, the food we eat, and the type of sunscreen we wear, can help make this summer more enjoyable and safer than before. 1) Timing is everything. Plan outdoor exercise routines like walking, running and biking in early morning or late afternoon. If you love lunching outside find a big tree to picnic under. Wearing a wide brimmed hat, UV sunglasses, and clothes that have tight weaves all help to keep the strong sun’s rays at bay. Of course, keeping well hydrated with lots of water is essential. 2) Protection from the inside out. Certain foods and drinks act as antioxidants and help build up our body’s defense against the free radicals that sun damage causes. Green tea contains ferulic acid,a strong antioxidant, and poyphenols which provides internal/ external protection from UV light, and tastes great as an iced tea. Broccoli, spinach, and other cruciferous vegetables contain lutein which has been shown to reduce the skin’s suseptability to ultraviolet damage. The red color of carotenoid, contains a strong antioxidant called lycopene (in watermelon and tomatoes).The orange colors of carrots and peppers have high contents beta-carotene which also contain lycopene. A study in the Journal of Nutrition showed that by mixing these colorful veggies and fruits together and nourishing our bodies with them, we are reducing inflammation and strengthening our cells against free radical damage and DNA damage both which cause skin and other cancers. 3) Choose sunblock products with care. Evidence of nanoparticles in many sunblocks and skin care products may be causing more harm than good. According to AOL Special News Report, June 2, 2010, other countries like France, Germany and the U.K. are labeling, testing and even banning sunscreens and skin products with nanoparticles but the U.S. hasn’t done anything. Friends of the Earth has stated that Nanosunscreens harm people and the environment because the particles are so tiny that they get absorbed through the skin and deposit into the blood and organs like the heart, liver and brain. Specifically, the nanoparticles of zinc oxide and titanium dioxide are the most dangerous and they make the sunscreen colorless. Not all sunscreens contain nanoparticles, but most do. Some safe sunscreens according to Friends of the Earth are: Alba, Aubrey, Avalon, Black Opal, Blistex, Botanical Organics, Bullfrog, and Tatoo Goo. 4) Use virgin coconut oil as an after sun and all over moisturizer. The hype on virgin coconut oil is big and it makes sense. According to Organic Facts, an educational website, it contains lauric acid which is converted to monolaurin in the human body. Monolaurin is clamed to help in dealing with viruses and bacteria, is an antioxidant, anti fungal, moisturizer, prevents premature aging, heart disease, and pancreatitis. It helps with weight loss and digestion as well, and can be used in cooking. The list goes on and on. 5) Finally, keeping a strong immune system is essential for preventing skin problems as well as overall illness. Maintaining a healthy nervous system by getting adequate sleep, proper relaxation, and receiving Chiropractic care for wellness and to maintain nervous system health. By following the steps laid out above, we can be sure to enjoy summer sun and fun with ease and joy.